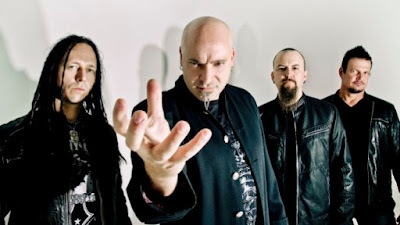 MetalRockNews: Disturbed's Dan Donegan: "Rock music, you get lifelong fans out of this genre"
Disturbed's Dan Donegan: "Rock music, you get lifelong fans out of this genre"
Disturbed guitarist Dan Donegan was recently interviewed at this year's Welcome To Rockville festival. You can read some excerpts below. About attracting younger fans to their shows after returning from a four-year hiatus: "It's amazing to have… I mean, to be off the road for four and a half years and come back and see that next generation of kids… That's some great parenting there. Bringing their kids out to the shows now, and it's a wide demographic of fans that we've kind of developed over the years now." About the success of Disturbed's "comeback" album "Immortalized": "Hey, you know what? It's great for everybody who's just clawing away, and it's great for rock music to kind of shake things up a bit for everyone; we all win that way. When we're stomping around, making some noise, it's just a reminder to the rest of the world that there's a huge rock fanbase out there. And we may be the black sheep of the music industry, but that's fine. We do our thing. This is a lifestyle-type music; this isn't a trendy thing. I'm not trying to knock all the other genres, but that stuff kind of comes and goes. Rock music, you get lifelong fans out of this genre."